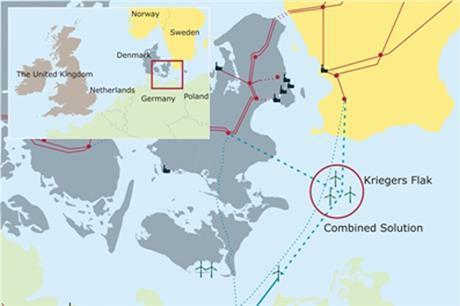 DENMARK: The Danish government has agreed to delay the construction of the 600MW Kriegers Flak offshore wind farm by two years. The project, which will be the largest in Danish waters, is now not likely to be built until 2022 as a result of negotiations to cut the Public Service Obligation (PSO) levies on consumers' electricity bills. A construction permit was due to be awarded by the end of 2015, but this will now be delayed in order to hold back the increase of the overall subsidies paid to offshore wind projects. The government agreed to defer the project as part of negotiations with the opposition Liberal Party over a new growth plan for the country. As part of the agreement, the parties also decided to reduce subsidies for onshore wind turbines to a total of around DKK 100 million (EUR 13.4 million) by 2020, although it was not clear how this would be achieved. The current government made up of the Social Democrats and the Danish Social-Liberal Party is a minority administration, and thus has to negotiate with opposition parties in order to pass legislation. In March, the Danish climate and energy minister warned that the government may drop future offshore projects if the price of the power they produce does not come down significantly. According to local press reports, Rasmus Helveg Petersen said that the DKK 1.05 (EUR 0.141) per kilowatt hour currently paid for the Anholt offshore wind farm is too high. The current market price for electricity in Denmark is DKK 0.25/kWh, which Petersen said means the 400MW project is costing consumers DKK 1.3 billion a year in green levies.